This etching is a copy of a copperplate engraving by the famous Renaissance artist Lucas Cranach the Elder. 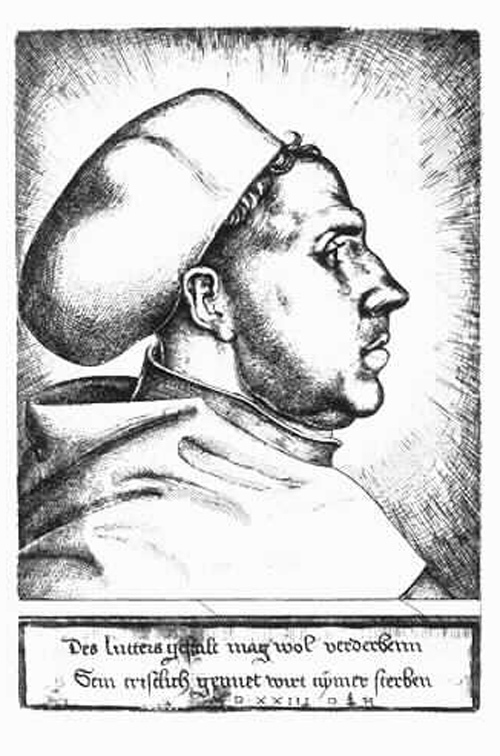 Martin Luther is portrayed in both his doctoral beret and his monastic habit. Cranach emphasizes his dual role as both scholar and devout Christian, underscored by the inscription, which reads: “Luther’s body may decay / his Christian soul is immortal.” Etching by Daniel Hopfer (c. 1470-1536), 1523.